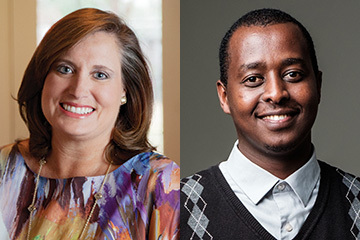 Abilene Christian University will honor April Anthony, of Dallas, Texas, and Serge Gasore, of Kigali, Rwanda, with its two most prestigious annual alumni awards in February. Named as the 2018 Outstanding Alumnus of the Year is April Anthony, class of 1989, of Dallas, Texas, who is a member of ACU’s Board of Trustees, CEO of Encompass Home Health, which she founded in 1998, and CEO of Homecare Homebase. Named the 2018 Young Alumnus of the Year is Serge Gasore, class of 2009, of Kigali, Rwanda, who founded the faith-based, nonprofit Rwanda Children, which provides housing, food, family and hope to at-risk Rwandan children. Anthony and Gasore were selected for the awards by the ACU Alumni Advisory Board in consultation with alumni relations staff for their personal and professional achievements. 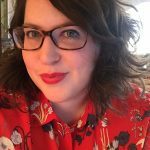 Anthony has had a successful track record as founder and developer of three home health ventures including, Encompass Home Health, which she founded in 1998, and Homecare Homebase, a software company she developed to support the technology needs of the home health care and hospice industry. In 2013, Anthony was named top CEO for large companies in the Dallas and Fort Worth metroplex by the Dallas Business Journal. She also received Ernst & Young’s prestigious 2006 Entrepreneur of the Year award. Anthony also is known for her philanthropy, including her and her husband, Mark Anthony’s, generous gifts to ACU to help build a science facility and the new Anthony Field at Wildcat Stadium. She earned a bachelor’s degree in accounting in from ACU in 1989 and was named ACU’s Young Alumna of the Year in 1999. At age 7, Gasore survived the 1994 genocide against the Tutsi in his native Rwanda, and later survived being kidnapped as a teenager, accounts he chronicles in his memoir My Day to Die: Running for My Life. He came to the U.S. to run track and cross country for ACU in 2005, and here he earned bachelor’s degree in psychology (2009) and master’s degrees in global information technology leadership (2011) and global service (2014). In 2010, Gasore and his wife, Esperance, began providing financial help to cover the medical costs for vulnerable children in Rwanda. With the help of friends, Serge and Esperance formed The Ejo Hazaza (“The Future of Tomorrow”) Foundation to help support their efforts. Serge went on to found the faith-based, nonprofit Rwanda Children, which provides housing, food, family and hope to at-risk Rwandan children. Craig Fisher, class of 1992 and assistant vice president of alumni relations and university relations, announced the awards Saturday, Oct. 21, during Homecoming 2017. The Outstanding Alumnus of the Year Award recognizes “lifetime achievement that brings honor to the university through personal and professional excellence and service to the university, church or community.” The Young Alumnus of the Year Award recognizes “professional achievement and/or distinguished service to Abilene Christian University.” To be eligible, a recipient must be no older than 40 at the time of selection.